I missed acknowledging the anniversary of the horrific “blood in the streets” “everybody is going to die” “guns everywhere” law, officially called the Georgia Safe Carry Protection Act. 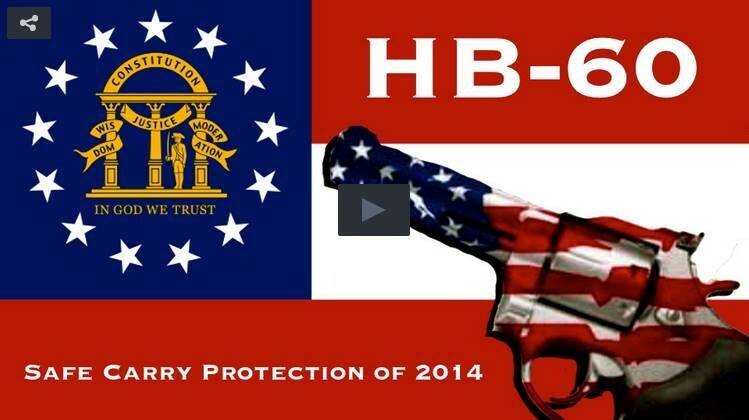 HB60 went into effect on July 1, 2014 and rewrote some of Georgia’s gun laws. We were told by the mainstream media, in no uncertain terms, that there would be carnage in the streets. City halls would be rife with gunfire. Church attendance would require bulletproof vests. Babies were going to die. And more importantly for the liberals, major artists would stop coming to Georgia. So what happened? Local governments panicked. Our local governments, after fretting and fuming, ended up making no changes to improve security. They bamed the Legislature but it just costs too much to keep the good gun-toters out of the building. I’m not aware of a single incident of a lawful gun-toter shooting up city hall because of bad service. Lord knows there are plenty of opportunities, but it just hasn’t happened. There was the bizarre case of a idiot gun-toter in Helen who killed a tourist when he decided to pull his gun out of his pocket for some reason. There are allegations he was intoxicated. He shot himself in the hand and then that bullet travelled across the street to kill the tourist. What did HB60 do to cause this? If the idiot had a Georgia Weapons Carry License (GWCL), he was legal to be in a restaurant/bar with a gun before and after HB60. If he had no GWCL, he was breaking the law before and after HB60. The moron is alleged to have been drunk at the time. It is illegal to discharge a firearm while intoxicated in Georgia (OCGA 16-11-234), before and after HB60. It is mortally stupid to be handling your firearm in public for a reason other than self defense. Responsible gun owners just don’t do it. Unless you are a drunk. Or a moron. Which means you aren’t responsible. So a tourist from Texas lost her life but HB60 had nothing to do with it. So where did HB60 cause problems? Oh yeah, all those performers who would quit coming to Georgia, or so the doomsayers brayed! In the past year, I’ve seen the Rolling Stones, Paul McCartney, Billy Joel and Jimmy Buffett perform in our great state. I hear Taylor Swift is coming, as are Luke Bryan, Alice Cooper, Motley Crue and that ultimate liberal, Madonna. So the guns everywhere death knell didn’t happen. I know you are devastated to hear that the liberal press lied to you. It’s going to happen again. Get used to it. This folks is just a warm up for the Religious Freedom Restoration Act (S.B. 129, Sen. Josh McKoon) which will soon be considered under the Gold Dome. You are going to hear the same propaganda, the same vitriol and the same hate speech directed at the law abiding among us. Gird your loins, the battle is on! Next Shotgun v. Drone, Who Wins?